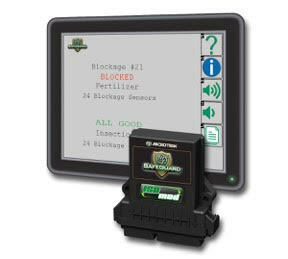 SafeGuard™ Blockage Monitor electronically detects blockages and alerts you with an Audible Alarm and a Visual Display of the blocked row's number. With ISOBUS compatibility, the SafeGuard™ ISOmod allows an existing Virtual Terminal to display blockage information that would otherwise be displayed on a SafeGuard™ console. Bring state-of-the-art blockage monitoring to your Virtual Terminal system. Reduce over and under-application, save money, and apply liquid product with confidence without having to watch flow monitors or outlets. SafeGuard™ — Simple, Powerful, Trusted Protection. Krohne Inc. now offers the updated Waterflux 3070 flowmeter, which provides precise measurement, no moving parts and maintenance-free service. 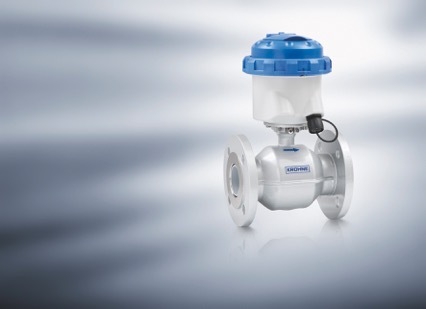 The battery-powered electromagnetic flowmeter is a choice for drinking water applications and a solution where power is unavailable. The system is the first battery-powered meter for the drinking water industry with built in flow, pressure and temperature measurement with one sensor. It provides important real-time data to support water distribution needs, including zone water balance, water abstraction, pressure management or water billing. The Waterflux 3070 is suitable for monitoring pressure surges and flowing temperature trends using remote telemetry with built in RS485 Modbus RTU communication option for readings, meter status and alarms. 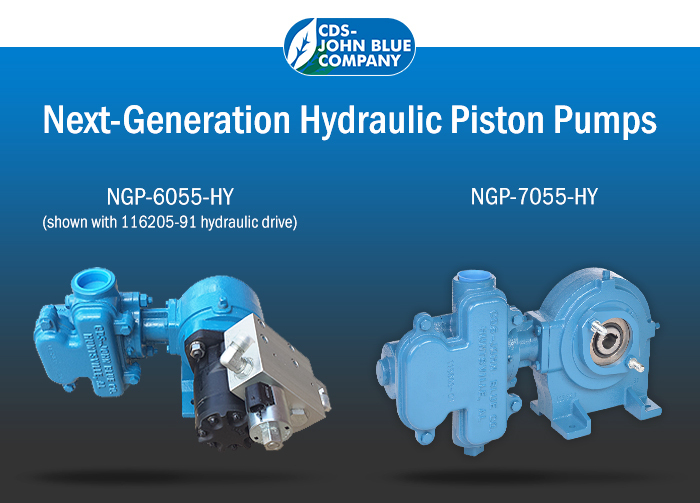 When it comes to metering pumps and injection pumps for agricultural fertilizers and chemicals, CDS-John Blue Co.’s Next-Generation Piston Pumps (NGP) will redefine your precision application expectations. Our piston pumps have a reputation and history built on superior performance, serviceability and overall quality. CDS-John Blue’s new Hydraulic Drive Piston Pumps provide a lower cost and more compact solution for variable rate piston pump drives. These pumps allow for quick and stable adjustment to application rates within milliseconds, and application rates won't change with the temperature. Users can supply their own SAE A 2-bolt motor or a hydraulic motor/PWM manifold kit is available from CDS-John Blue Co. (model# 116205-91). CDS-John Blue Co. pumps are “Guaranteed to Do the Job”. Reichhardt TAC Row Guidance uses tactile sensors for accuracy. The TAC solution proven on combines is available for sprayers. TAC provides steering in corn rows at a height of 3-4 feet. 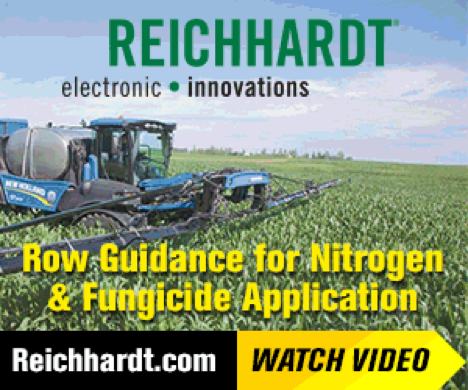 Maximizing acres covered for late season nitrogen and fungicide application. The Reichhardt ISO navigation controller is accessible on ISO virtual and universal terminals. 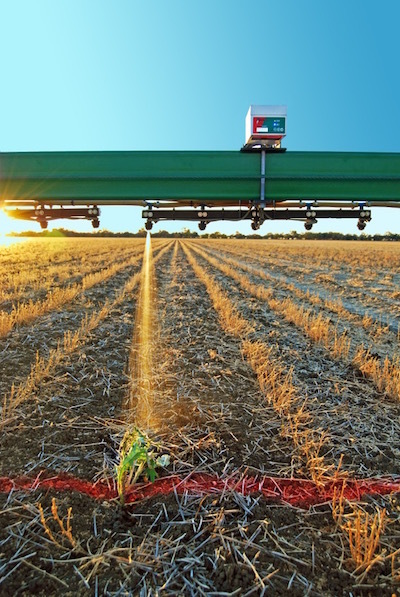 TAC provides guidance in 20-30-inch rows without GPS. The tactile sensors compensate for planter movement, sensing where the corn emerged, following in the row. The Gap Detection feature detects a planter skip or water way and maintains the steering position to stay in the row. Yetter’s innovative 2940 Air Adjust Series allows you to adjust up and down pressures with the touch of a button, creating the ideal ride for the residue managers. The in-cab controller allows for quick adjustments from your cab with the touch of a button, controlling five programmable settings and other functions. Control system is designed with option to control with ISOBUS. 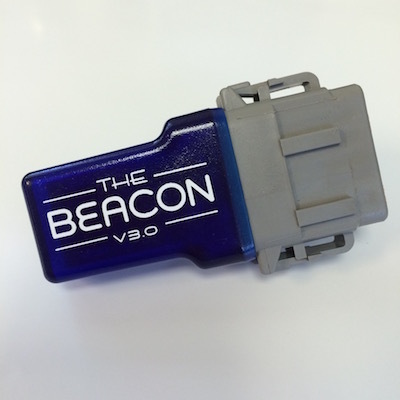 The Beacon v3.0 is a ruggedized Bluetooth device that enables a wireless connection between a GPS/GNSS receiver and a Bluetooth enabled tablet. Together with the DigiFarm NTRIP app, the Beacon v3.0 seamlessly streams RTK data into any receiver using an iPad, Android or Windows tablet. This bridge allows RTK corrections to be passed through the smart device, eliminating the need for additional data plans, radios or costly RTK base stations. 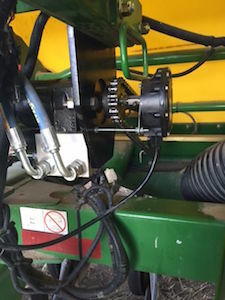 Ag Express Electronics is now offering kits to convert ground driven John Deere 1990CCS drills to hydraulic-drive variable rate. These state-of-the-art kits are available to use either a John Deere GS Rate Controller Dry or a DICKEY-john ISO control system. A GreenStar 2 or 3 display and GPS receiver are also required. All electronic parts are included in these kits to add hydraulic drive capability. An HD4180 PWM valve and motor drive, application rate sensor, mounting brackets and hardware and cabling are all included. The DICKEY-john Air Cart ISO control kit has the added benefit of monitoring population and blockage (with additional sensors), along with controlling the application rate. The kit pricing will depend on the current monitoring system used and control system chosen. LAFORGE has developed a universal implement guidance hitch for rear implements as a contribution to making precision farming a reality. The LAFORGE DynaTrac is a key link between the implement guidance system and the rear implement by adjusting the lateral position of the implement based on the guidance line established by the tractor guidance system. 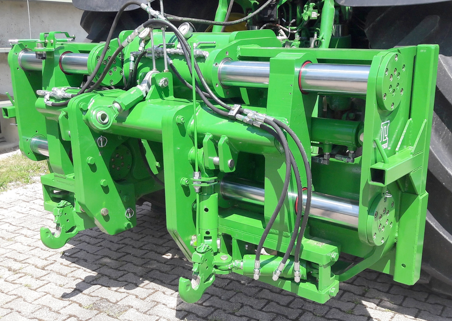 LAFORGE leveraged decades of tractor hitch experience and success in the USA with a DynaTrac for pulled implements to develop a 3-point version. The DynaTrac range fits any customer’s requirement and budget for precision farming. 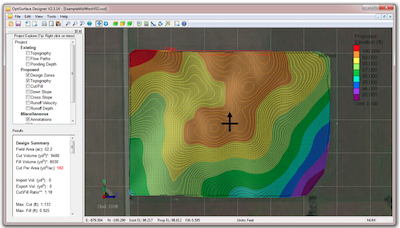 OptiSurface is the most powerful analysis and design service for optimizing field topography to enhance surface drainage, infiltration and erosion control. Using patented artificial intelligence, it calculates the optimal field topography obtained with minimal earthworks. The 3-D designs are loaded to compatible GPS machine control systems to implement the earthworks in the field. It has improved 1 million acres around the world in all types of crops and climates. WEEDit sensors mounted 40-inch apart on sprayers sample the ground 40,000 times per second looking for living plant matter. When a plant is detected, only the solenoids over the plant are engaged. Solenoids are spaced 8-inches apart along the length of the sprayer. Savings of up to 85-93% on burndown or chem-fallow applications has seen WEEDit systems paid for inside 2 years. The technology can be retrofitted to almost any sprayer in the market. 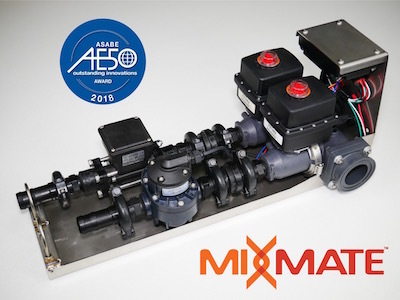 Mixmate Flow is our volumetric-based chemical mixing system. It is a low-cost way to get started with automated mixing. Compare Mixmate Flow with other manual and automated systems on the market and you will find a combination of features that are not available with any other system. We think automated record-keeping and our competitive price will tip the balance in favor of Mixmate Flow. Add even more flexibility with our best-in-class Mixmate Inductor to process jugs and dry products. Boost sprayer efficiency by 30% with the award-winning Mixmate system by Praxidyn. Service plan innovation to see, solve, track and educate. Precision ag dealers are using AgriSync to drive profitability, create a know before you go strategy and leverage the dealership’s expertise. AgriSync helps advisors bring speed to resolution and provide better service to farmer customers. 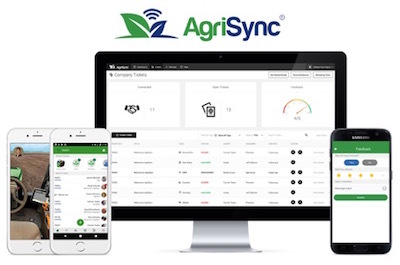 AgriSync is the first pro-active remote support app for modern agriculture and is always free for farmers. Join leading precision ag dealers innovating their service plans. Start your free trial today.